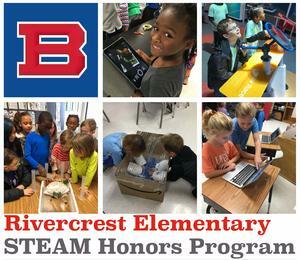 The STEAM Honors Program at Rivercrest Elementary is accepting applications for the 2019-2020 school year. Returning Students do not have to complete any paperwork. Current students will automatically be re-evaluated. New applications will be accepted January 29-March 8. Complete and return to Bartlett City Schools Central Office. 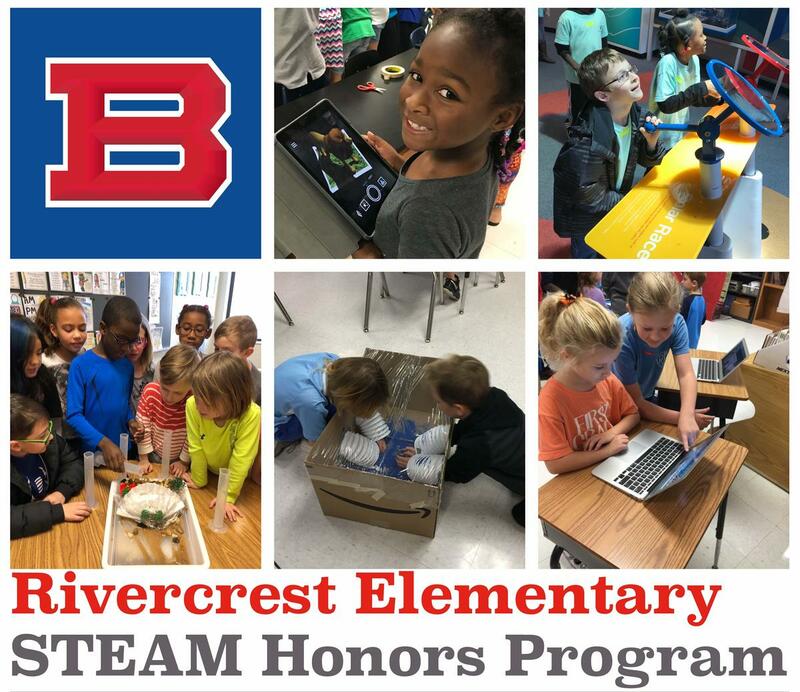 Do not return applications to Rivercrest Elementary. Parents will be notified by the end of March, in order to confirm acceptance by contacting the Office of Teaching and Learning via email. Read additional information from the STEAM FAQ.